Not our favourite wedge on test. 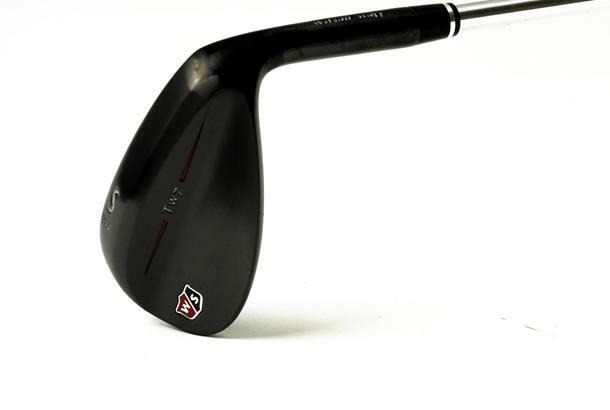 There was a unanimous dislike among our testers of the TW7’s shape – in particular the very square leading edge, which all testers felt needed to be a bit more rounded. The spin readings were also a little low, and this was reflected in our touch shot control, which was very indifferent. Despite a dull dark finish, we actually found that this wedge glared in the sunlight and marked up very easily, cheapening the overall impression and leading us to drop the Wilson Staff TW7 down the leaderboard.